* Student Leadership Conference As usual, this was a great time for our leaders to hear some great teaching from some great pastors. The focus was on what motivates us to serve and we did a great deal of talking about expectations; those we perceive from others including God and those we have on others...including God. Jesus did not come to be served, but to serve and give his life up for others (Mark 10:45). * Family Conference This was a great weekend with not just the youth, but the whole church in general. On Friday night, the Taylors spoke to couples, on Saturday morning they spoke to the youth about purity—a pretty intense and very appropriate subject for our youth. On Saturday evening, our youth put together a Date Night for the married couples in the church. We had 25 couples attend and they were served a dinner, had some entertaining games, and the Taylors wrapped it up with some more great teaching. 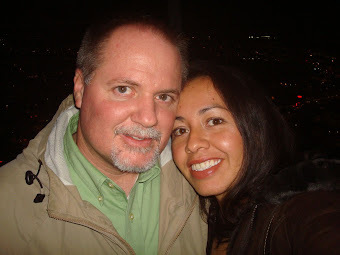 I have posted a short report of the Date Night with pictures here. * Winnipeg Team Almost all of the electrical work is done in the new church building. We have electricity in our youth room and bathroom now which is really great! These guys did a great job and accomplished A LOT. * Juan Abel and his family America had been attending church regularly since the Quinceañera. After my conversation with her dad about a month ago where he asked me some pointed questions and I disagreed with his doctrine, he banned her from going to church with us. She was able to come one last time and I was able to speak with her, pray with her, and try to encourage her to maintain faithful to the Lord. She knows her dad is wrong, but is respecting his decision to not let her attend with us. * Oaxaca Missions Trip We are still in the process of preparing for the trip as we’ll be helping another missionary start a youth ministry. We still need $1000 usdollars for the ministry and construction projects we’ll be doing. One of the most amazing things right now is to see our youth (even the ones not going) coming together and working so hard to raise the money. We’ve had two carwashes and we’ve gone out to the fields to pick weeds with mean stickers amongst the bean plants. On average, each fund raiser brings in about $20 us dollars. That is nothing compared to what we need, but it’s a ton considering what kind of unity its bringing in the youth group. Click here to see one of our Car Washes. We really do appreciate your prayers and financial support. We would love to have you come down and visit so you can see first hand what God is doing. Pictures and letters sometimes don’t do justice; it really is amazing to see what it is like here. Come down with your family or form a team and come with them. Lately, we’ve been enjoying a free phone calling service called “SKYPE”. It enables you to chat, talk, and even see each other (given you have a camera hooked up to your computer) online with anyone else who has signed up. Skype to Skype is cost free and it even works with the dial-up internet service we have in my office. I have been able to communicate with my family more frequently…and for free! It’s great! If you have Skype as well, please let us know; we would love to say hello. Our Skype id is “srsilberman”. If you do not have Skype, we recommend it especially if you have friends and/or family in other parts of the world who are missionaries or overseas for other reasons. It’s a great way to keep in contact. -That the right people will go. -Protection of the Holy Spirit. -That the hearts of the youth in Oaxaca will be open to the Gospel message. -For finances—each team member needs to come up with +/- $120 usdollars. -For finances—in general, we will still need around $1,000 usdollars for extra expenses: ministry projects, construction projects, emergency, etc. Click here to donate to “Cofradía Youth Missions”. -Anything else the Lord leads you in. Hi Steve! This is Sarah from the Keyport Bible Church team that visited last summer. I am always keeping up-to-date with your blog and I pray for supernatural strength for you and all those there in the ministry for Christ. Yours and Amber's blogs really encourage me in my work in the Kingdom, so keep on posting! Hi Sarah! Great to hear from you! Thank you so much for your note and your prayers! We really appreciate it. We're glad to be an encouragement to you as well. We look forward to the Keyport Team coming down again this summer. Will you be coming?